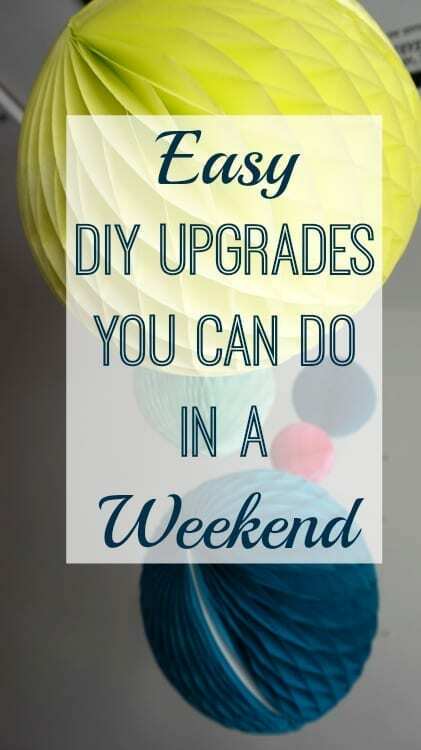 Today’s guest post has a couple of great ideas for home upgrades that won’t take a huge amount of time, but will make a big difference to your home. They’re great, cost effective upgrades too. Enjoy! With a busy work and family life, it can be tricky to find time to do those little decorative upgrades around your home that will make it really special. Here are some ideas of small projects you can complete in a weekend that will make a big visual impact on your home! This is a fun and effective little project that you can do in an afternoon. It’s particularly effective in a utility room, small bathroom or laundry room. All you need to do is choose some paint that’s suitable for your flooring type – remember to check what that is, as vinyl and linoleum are different and will require different types of paint. Clean the area you’re going to paint, mark off the edges with tape, and then get painting! Approach it as if you’re mopping a floor methodically and paint yourself out of the room – you don’t want to get stuck or have to walk over your handiwork to get out! If you want to apply a pattern like stripes, paint the floor entirely in your base colour first and let it dry overnight before adding the second strip colour. Mark your stripes out with tape as if you were painting a wall, and then paint them in with a small roller – that way you’re sure to get a clean edge. Then let it dry, and enjoy your new accent floor! Shelving is a vital part of most houses’ décor and storage solutions, but is often overlooked or gets forgotten about among bigger projects. 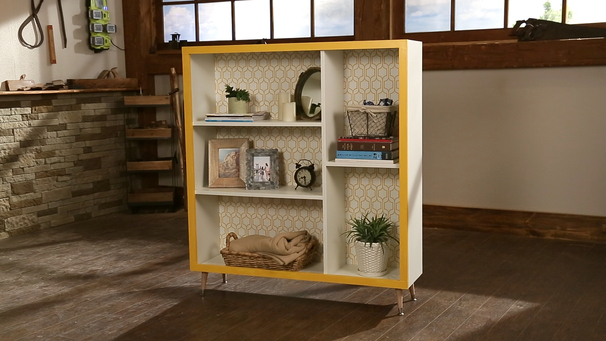 There are various options for sprucing up your shelving depending on how much or little time you have. For a really simple project that only takes minutes, buy some curtains with tab tops and attach them to cover unsightly wire shelves. If your shelves aren’t wire, you can always simply attach a short curtain rod to the top of your shelves to achieve the same effect. For old or ugly wooden shelves, a lick of paint can do the trick to freshen them up. If you have a little more free time, it’s incredibly rewarding to make your own shelving unit from planks and brackets – and not as difficult as you might think. You’ll need some basic tools and materials, and the final result will be stunning. Once you’ve finished, check out https://www.youtube.com/user/ryobichannel for more projects and tutorial videos. So many of us see DIY projects as a chore, rather than something fun to do with our free time – but if they’re not too time-consuming or overwhelming you can really get into it and achieve beautiful results fast. Easy tips indeed! Just stumbled on your blog and must say I really love it. I am also quite pressed for time but I would love to give our floors in the kitchen a touch up. They are solid wooden floors and I would like to give them a darker touch up – any good ideas for paint? Thanks so much – will be here again.